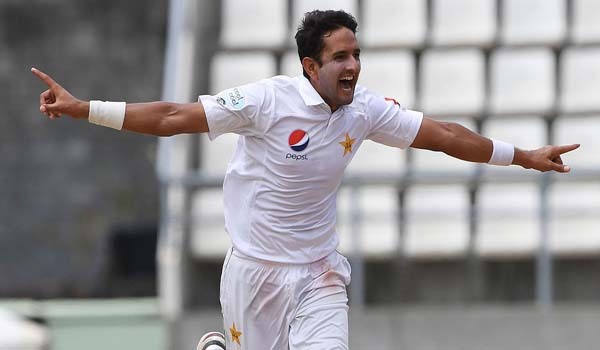 ISLAMABAD, May 28 (APP):Mohammad Abbas leads a trio of Pakistan fast bowlers who have moved up in the MRF Tyres ICC Test Player Rankings after contributing in a memorable nine-wicket victory over England in the Lord’s Test that ended on Sunday. The 28-year-old Abbas’s player of the match haul of eight for 64 has helped him gain nine spots and reach a career-best 20th position after only seven Tests while Mohammad Amir and Hasan Ali have also moved up after creditable shows in the first of two Tests, said a press release issued here. Left-arm bowler Amir’s five wickets in the match have lifted him five places to 32nd position while Hasan Ali has gained 26 slots to reach 61st position after taking four first innings wickets. This is the career-best in Test matches for Hasan, who is currently ranked fourth in ODIs after having attained top rank in the format in October last year. Among their batsmen, Asad Shafiq has risen six slots to 26th place after slamming 59 in his only innings of the match, while Harris Sohail has moved up 13 places to 80th rank after scores of 39 and 39 not out. Babar Azam, who was forced to retire hurt after being struck on the wrist by a Ben Stokes delivery in the first innings and ruled out of further part in the series, has moved up 14 places to 86th position after his 68-run contribution. For England, Alastair Cook, has gained one place to reach 15th position after scores of 70 and one while fast bowler James Anderson has retained his second slot with four wickets in the match but lost two points and is now eight points behind top-ranked Kagiso Rabada of South Africa. Pakistan’s unbeatable lead in the series also gives them a chance to overtake England in the MRF Tyres ICC Test Team Rankings. A 2-0 series result will take them from seventh to fifth position with 95 points, while pushing England down to seventh position and 93 points. England started the series on 97 points while Pakistan were on 88.